Another superb day of whale watching in Johnstone Strait. 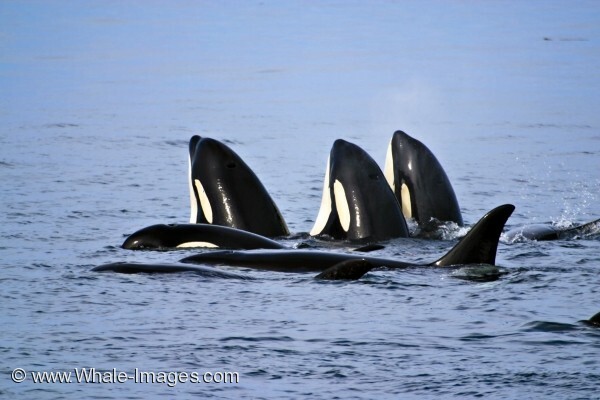 This was a superpod day, where we saw more than 120 killer whales. All the whales were very active, doing a lot of spyhopping, and tail slapping. One of the best places on this planet for whale watching is in British Columbia on Northern Vancouver Island. Picture of three spyhopping Killer Whales during a whale watching tour on superpod day off Vancouver Island, Canada.